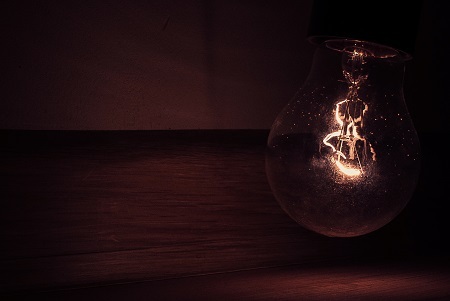 A power failure is one of the most common business interruptions. Whether the cause is weather related, due to a fallen tree or human error, a power outage can be inconvenient and impact business operations. Follow the tips below to help minimize your business interruption during a power outage. First and foremost, create an emergency plan and communicate it effectively to all your employees. Many business preparedness plans can overlap. If you have an emergency plan in place for a storm or fire, it should also be effective to use during a power outage. Consider designating a “leader.” This person should be able to locate your electrical panels and know how to shut off power. Prepare an emergency kit. Make sure to include flashlights with extra batteries, non-perishable food and water, an emergency charged cell phone with emergency contacts, and a first aid kit. Keep this entire kit within reach of all employees, in case of an emergency. Sometimes a warning is given for a power outage. Monitor the news and be on alert for “heavy winds” and other storm warnings that can potentially cause the power to shut off. Consider installing emergency lights that power on when the power goes out. Ask your local building supply retailer about these, and make sure to follow building codes for installation. Check with your neighboring businesses to see if they have power. Continue to monitor the news for updates. Since your computers and TVs will be shut off during this time, consider purchasing a battery-powered radio or TV. You can keep this in your emergency kit. Make sure to constantly save and back-up your computers throughout the day. If you receive warning of a power outage, turn off all office equipment, including computers and coffee machines. If appliances are powered off, this can reduce the electrical load to be restored. Keep all refrigerators closed. Depending on the time lapse of the power outage, you may need to throw out food products. Refrigerated food can last up to four hours in a closed unit. Freezer items are still good/frozen for up to two days if door is kept shut. You may need to evacuate employees, based on the threat of the power outage. Do not try to repair power lines or remove trees/poles that may have fallen on these – Leave this work for the experts. Take caution with electrical wires. If the power returns, these can become very hot. Take your time powering everything up again. Start with the most important equipment first. Powering everything back on at once can cause electrical overload. Make sure everything is operating correctly. Throw out any food that may be spoiled. Restock your emergency kit, if need be. For more information about business emergency plans, check out Be Prepared…When Disaster Strikes. « Hurricanes – Fact or Fiction?